Want to get your hands dirty with Hadoop related technologies but don’t have time to waste? I’ve spent way too much time trying to get HBase, for example, running on my Macbook with Brew and wish I had just tried this Virtualbox approach before. 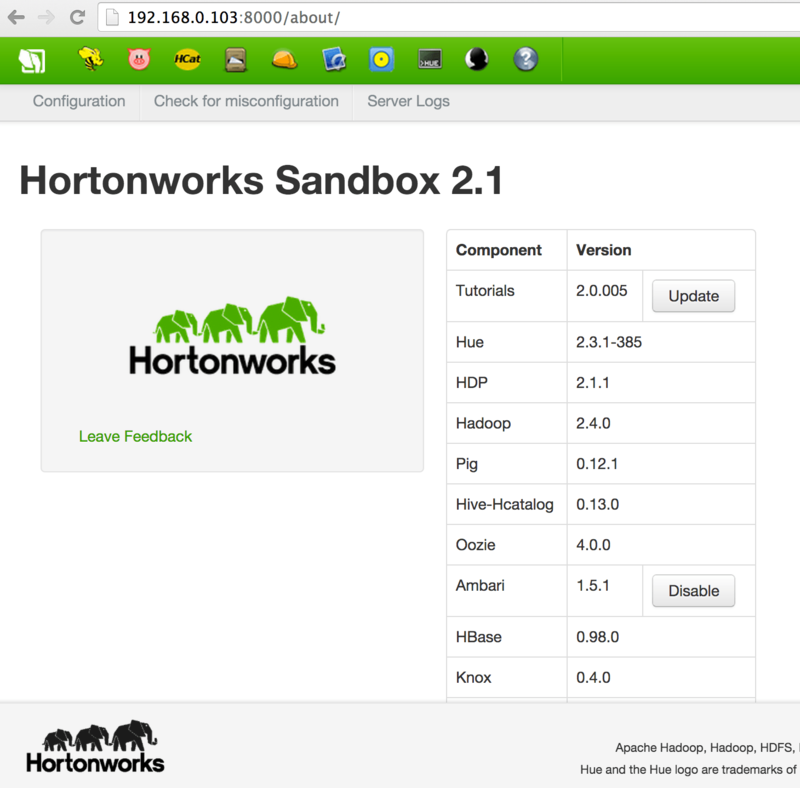 Hortonworks Sandbox is an excellent virtual machine file, that’s primed and loaded with all the tools you would want to try out. Best of all, it’s free and a simple (meh) 2.5GB download. Virtualbox, VMWare and Hyper-V versions are all available. 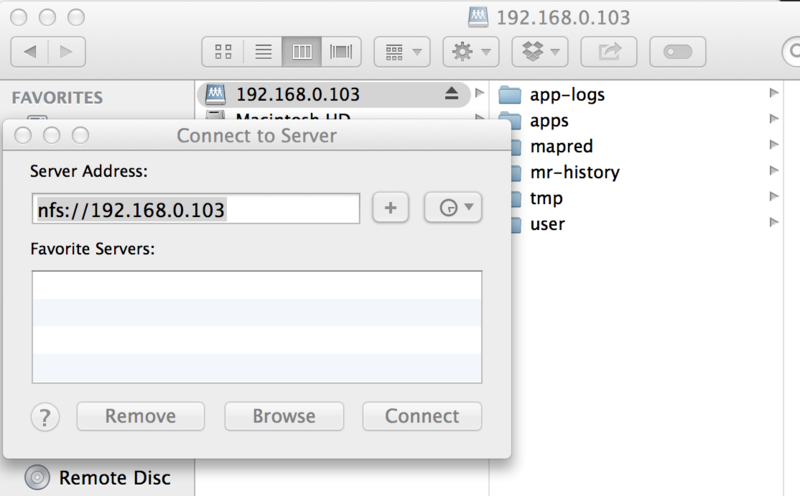 Once I launched it, I had access to a simple web console, showing me all the varied apps I have running. The first thing I wanted to do was enable file access via NFS. 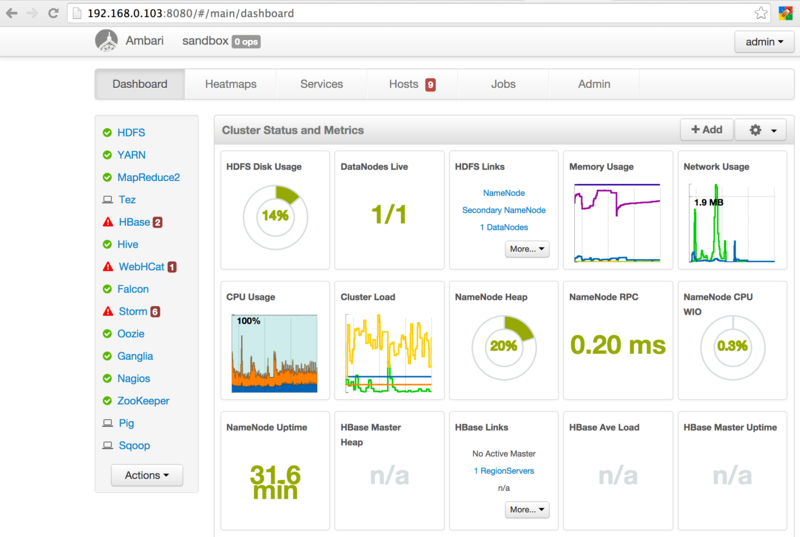 You read that right – I had heard earlier today that Hortonworks Data Platform (HDP) supported NFS right out of the box. To be fair, I don’t know what others are doing, so maybe this is old news, but it was good news for me. So using various configuration windows via Ambari, I went through a tutorial for configuring NFS capabilities. However, to my joy, I found that all the configuration changes I needed to make were already made by default! So, NFS by default sounded good to me. After switching Virtualbox from NAT networking to Bridged mode, I then told OSX to mount the drive. Et voila! So I’m just getting started with using this Sandbox environment but it was definitely a timesaver for setting up a development environment.